Police have named the man whose body was found on the beach on Thursday (April 5). He was 71-year-old Norman Albert Clark, of Station Road, Northiam. Officers were alerted to the discovery, close to Bridge Way, St Leonards, by a dog walker at about 7.40am on Thursday (April 5). Mr Clark was found with an injury to his neck and police subsequently launched an investigation. 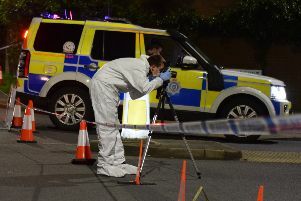 Detective Chief Inspector Emma Heater of the Surrey and Sussex Major Crime Team said: “A post mortem was conducted on Saturday (April 7) but at this time the cause of death remains unascertained and further forensic tests are to be carried out. “The circumstances surrounding Mr Clark’s death currently remain unexplained and our investigation continues. “It is crucial that we trace his movements from Wednesday (April 4) up until the time he was found on the following morning. “We have found that Mr Clark used his bus pass at 12.40pm on Wednesday to board an Eastbourne-bound bus from Warrior Square in St Leonards. The bus route runs along the coast road adjacent to where his body was found the following morning, and we don’t know where he alighted. “We are urging anyone who saw Mr Clark on that bus, getting off the bus, or at any other location, between 12.40pm on Wednesday (April) 4 and 7.40am on Thursday (April 5) – or anyone who has any other information – to contact us.